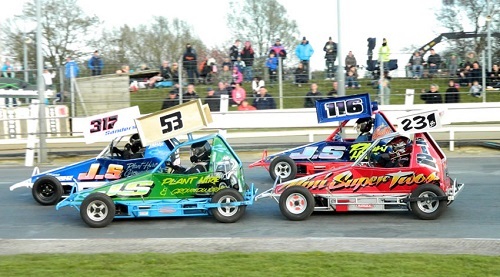 "The oval racing world is very family-orientated; you will often see me competing with my daughter in a Superstox while my wife cheers me on from the stands! This is very important to me so we have created a class that the whole family can be actively involved in. The Mini Super Twos are designed for two age groups, one encompassing younger drivers aged 11-15 years and one for those aged 16 and older.